Paint and coatings maker PPG Industries Inc. is leveraging a non-toxic anti-corrosion coating formula developed by a U.S. Navy laboratory. Pittsburgh-based PPG said Thursday that it had signed a non-exclusive patent license agreement with the Naval Air Warfare Center’s Aircraft Division (NAWCAD) for a trivalent chromium pre-treatment (TCP) coating. PPG’s Global Segment Manager Randall Brady said the company will use the Navy’s formula in its commercially-available products. “After evaluating the coating, we found it to be so beneficial that we knew our customers would be interested,” Brady said, adding that PPG would also be qualifying the new coating products to military specification Mil-C-81706 in early 2019. PPG is the largest coatings company in the U.S. and the second largest in the world by revenue. Its global aerospace business offers coatings, sealants, transparencies, packaging and application systems, and transparent armor, as well as chemical management and other services. 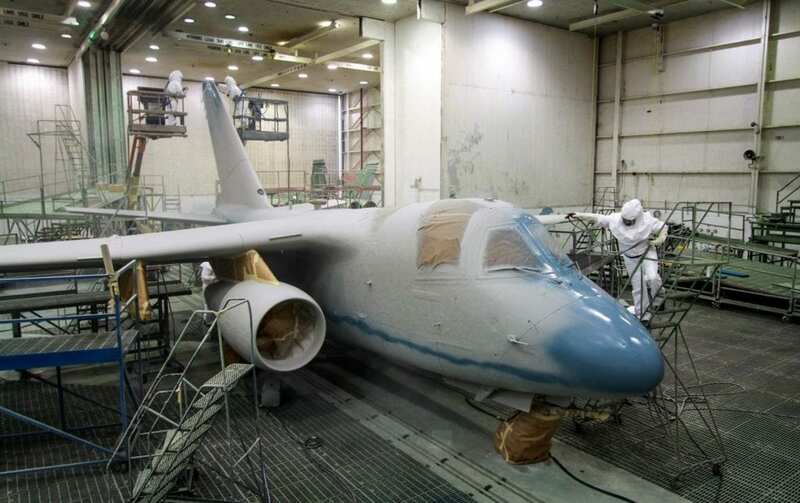 Like the military’s aircraft, ships, and ground vehicles, the cars, airplanes, boats, and buildings used by the public require protective anti-corrosion coatings. Navy scientist Craig Matzdorf leads the research team at the Navy research center in Patuxent River, Maryland. His investigations have led to multiple U.S. patents on anti-corrosion formulations that avoid using hexavalent chromium, a known carcinogen. “Even though it works very well technically, hex chrome is toxic to people and animals,” Matzdorf said. TechLink, the Department of Defense’s national partnership intermediary for technology transfer, has contacted dozens of companies, providing information on the capabilities, and availability, of the Navy’s trivalent chromium technologies. TCP has been widely licensed and commercialized globally and will expand its aerospace applications with recent improvements. Dan Swanson, senior technology manager at TechLink, initially contacted PPG in 2004 and has maintained supportive communications since. PPG has increased collaboration with NAWCAD in recent years but had not previously licensed this technology.